lot of oats. Oats have a calming effect. soda, and oats. Stir until well-mixed. Stir in chocolate chips. at 325 degrees for 18-22 minutes, until edges are just starting to brown. 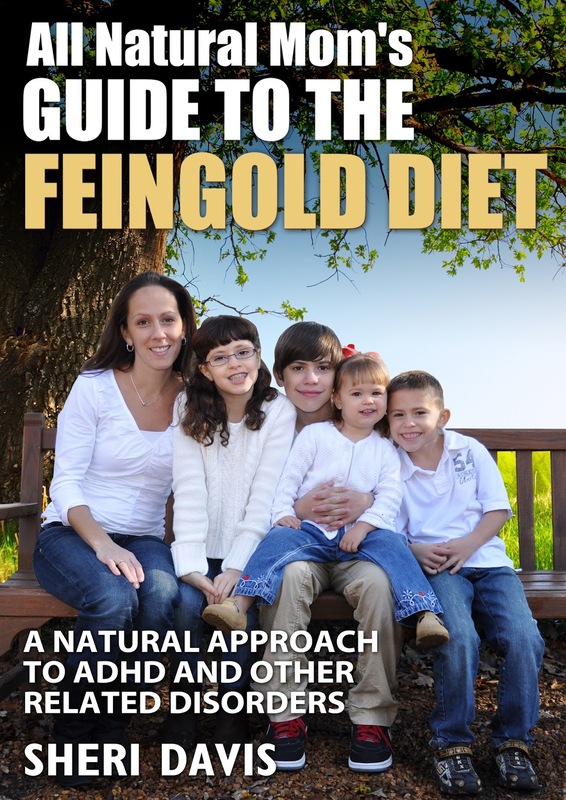 To learn about how dyes, artificial flavors, and other harmful chemicals can affect your child’s behavior, learning, and overall health, check out my new book, “All Natural Mom’s Guide to the Feingold Diet – A Natural Approach to ADHD” available now on Amazon! Hi! I'm new to the feingold diet but isn't honey and coconut oil really high in salicylates? No, not on the Feingold Diet. They consider most honey stage one. Clover honey would be stage two. Some people are sensitive to honey though, depending on what it was made from. Feingold's salycilate list is slightly different than the lists found on the Internet. Feingold's is also based partly on members' reactions.